David Small. There are six pages of his books in my library’s online catalog and that doesn’t include all of them. He’s an illustrator and an author and he’s been working in the field of children’s books for over 30 years. He’s from Michigan. He has an MFA from Yale’s Graduate School of Art. His work has appeared in places like The New Yorker and the NY Times. He’s won two Caldecott honors and a Medal (The Gardener and One Cool Friend; So You Want to Be President, respectively). His graphic memoir, Stitches, was a finalist for the National Book Award. It’s hauntingly good and true and sad and hopeful. I loved it and can’t recommend it highly enough. His first picture book was Eulalie and the Hopping Head. Small and his wife, writer Sarah Stewart, have partnered on a number of picture books. This is a great article about that development and their mutual esteem. He’s also collaborated with kidlit greats like Jane Yolen. 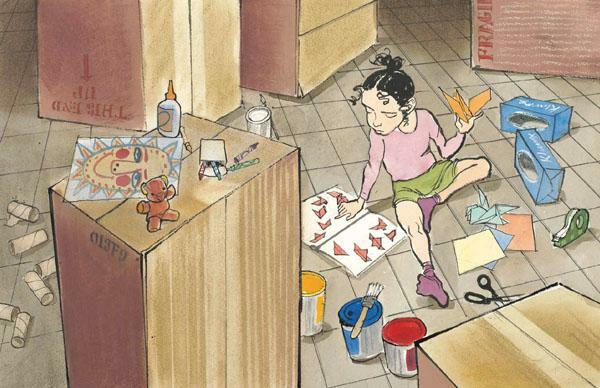 There’s a loose and carefree quality in Small’s work, which is done in watercolor, pen, ink, and pastel. His lines are prominent and masterful. 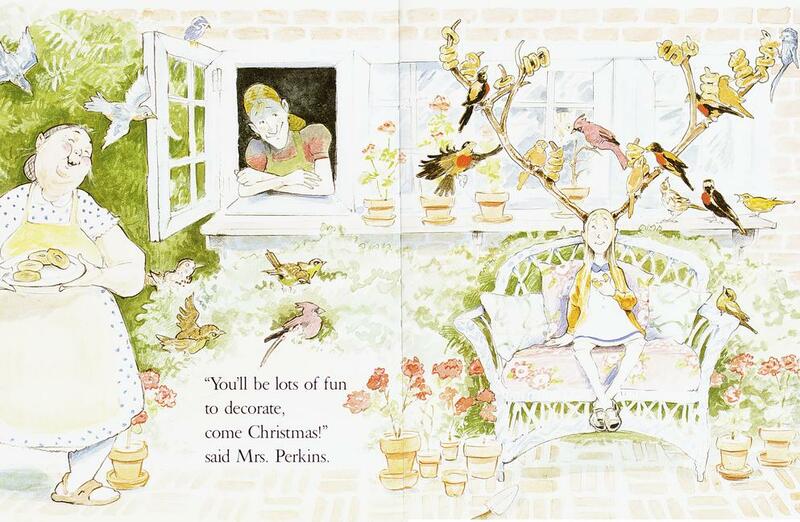 Even in the saddest illustrations, there’s often a hint of joy or, always, humanity. That’s the word that most comes to mind for me when I consider Small’s illustrations. Humanity. He does humor or poignancy well and his illustrations have a classic, timeless quality; they can look old or new. One Cool Friend by Toni Buzzeo, pictures by David Small. 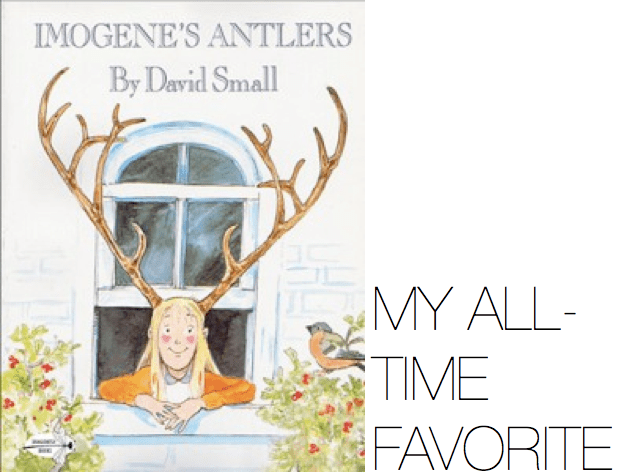 These characters are two of my favorite picture book pairs. The Library by Sarah Stewart, pictures by David Small. Ahhh. This is a book for book lovers. A classic. 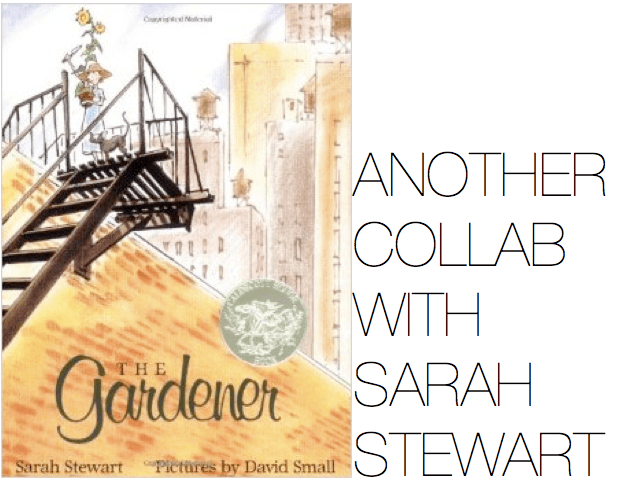 The Gardener by Sarah Stewart, pictures by David Small, a great example of one of Stewart’s epistolary stories. 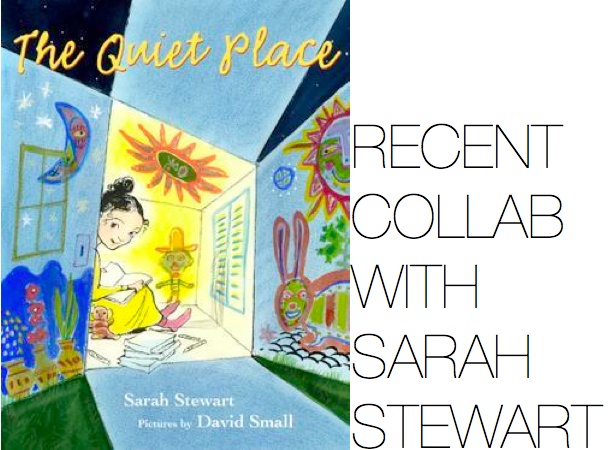 The Quiet Place by Sarah Stewart, pictures by David Small. Another beautiful story told through letters. 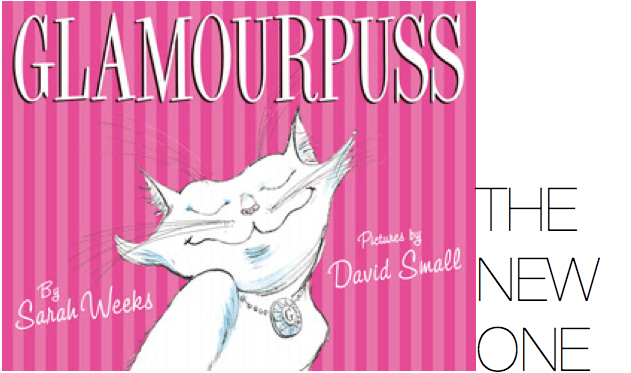 Glamourpuss by Sarah Weeks, pictures by David Small just came out and is hilarious! My favorite spread is the second one, in which Small has included a couple of black and white photographs that fit the outrageous mood of Glamourpuss’s owners, Mr. and Mrs. Highhorsen, perfectly! Thanks for sharing, I enjoyed this very much. He has such an impressive range. My pleasure. Indeed. I was blown away by his graphic novel memoir. I have read all of these except The Quiet Place and have loved the illustrations in them–just love connecting the dots to the same illustrators via your blog! Thanks for educating me about David Small. I’m smitten. Doesn’t surprise me that Imogene is your favorite too! I’m very fond of quite a few of his books! Thanks for this lovely post!!! How nice that you post boy-girl-boy-girl! Small’s talent is truly super-sized. Your comments about all your “favorites” made me smile. Thanks for sharing your picture book passions with us! Great post. I’m with Cathy on Small’s enormous talent. 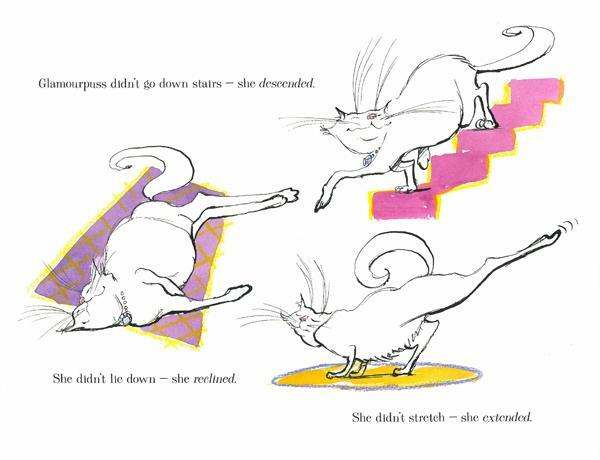 As for GLAMOURPUSS, clearly a must read! Interesting too how it’s the British spelling of glamor which I find more glamorous than without the “u,” don’t you? I’m late here, but that’s only because I’m studying David’s latest book, “Bloom”! This is so needed for every girls new found confidence today. Love the emotion you send with your black outlines on your characters. Also, love how you have shown the emotion in the tree, even the stumps, and the darker colors of forest when, “A dark shadow passed over Bloom’s face”. Thank you for a lifetime of wonderful illustration. Enjoyed seeing you in Lansing, Michigan last month and can’t wait for your graphic novel in September or maybe a little later. Hello, and I agree BLOOM is terrific! Lucky that you were able to see David Small in person. Does he have a new graphic novel coming out?? I’m not sure of the name, but I think the protagonist is a young teenager.